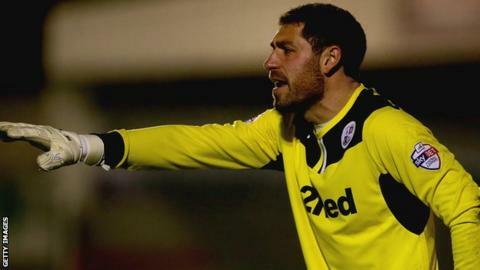 League One side Crawley Town have released 11 players, including forward Billy Clarke and goalkeeper Paul Jones. Jones, 27, started all 51 competitive games for the Red Devils in 2013-14. Also leaving are Mark Connolly, Paul Connolly, Gary Dicker, Rory Fallon, Louis John, Jonny Maddison, Alex Malins, Jonte Smith and Sergio Torres. The benefit of experience . . .
Dannie Bulman, Mike Jones, Jamie Proctor and Mat Sadler have been offered new terms and have until the end of May to decide their future. "Telling players they haven't been offered a new contract is one of the hardest aspects of management," said much-travelled former Aston Villa manager John Gregory, who last week extended his deal at Crawley until 2016. "It does not get any easier over time." "We will have a competitive playing budget for next season but, unfortunately, some of the players who have been part of the journey this club has been on for the last few years will not be with us," Gregory told the club website. "I need to reinvigorate and refresh the squad." Clarke scored seven goals in 31 appearances as Crawley finished 14th in League One.